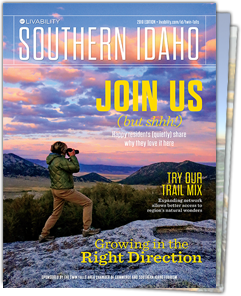 We promote recreation and tourism in a seven-county area of Southern Idaho. We also utilize tourism as a tool in community and economic development in an effort to grow the hospitality industry and bring economic benefit our communities. Southern Idaho Tourism was incorporated in 1995. We employ a unique business model: a volunteer Board of Directors with a four-member Executive Committee governs the organization. Day-to-day activities are managed by our Executive Director.